This tab is only needed if you are using our Stats service (free or paid) or Blubrry Media Hosting. You must setup stats or hosting at blubrry.com BEFORE filling out this tab. To access your Blubrry services from your blog website, you need to link your blog to your Blubrry.com account. You must add your podcast to Blubrry.com and then sign-up for either Free Statistics, Premium Statistics or Podcast Media Hosting to proceed. Step 1. Go to the PowerPress settings page and select the “Services and Statistics” tab. 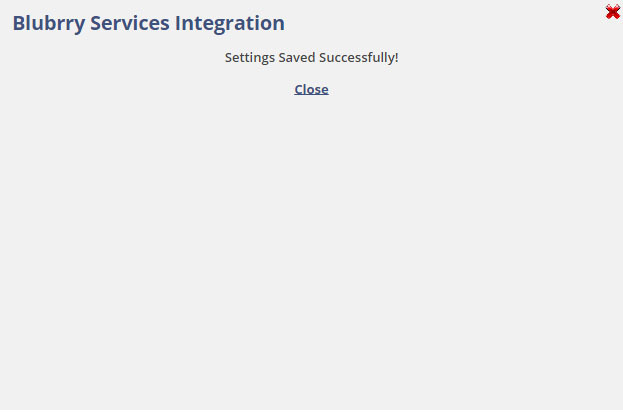 Note: If you are not a paying hosting customer, selecting the “Statistics and Hosting Integration” option will fail. Step 5. 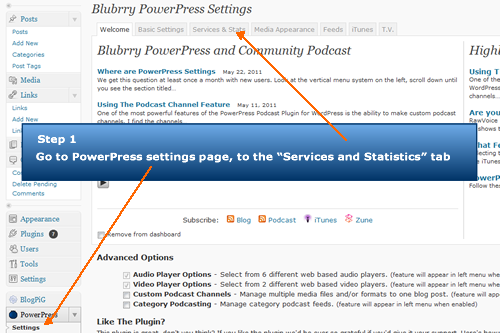 Your blog with PowerPress is now linked to your Blubrry.com services. Gmail users note: Even though you may have created your account at Blubrry.com with your Gmail email address and password, upon completing your first sign-in you were asked to enter a new password. 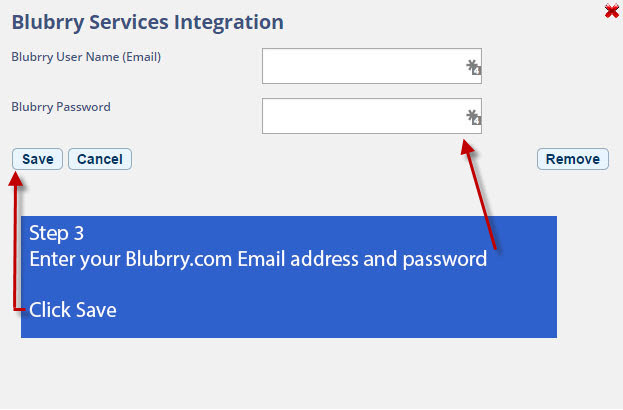 This new password is specifically for Blubrry Services Integration. Because of limitations with the authentication protocol available by Google, we cannot use your Gmail password in our API. If you forgot your Blubrry.com password, please go to Forgot Blubrry Password to start the process of resetting it. We are unable to locate any podcasts listed on blubrry.com for the account specified. Please make sure you are using the Blubrry.com account that you used to add your podcast to the directory. Make sure you have configured the Free Basic Statistics for your podcast listed at blubrry.com or that you have purchased Paid Premium Statistics/Media Hosting. 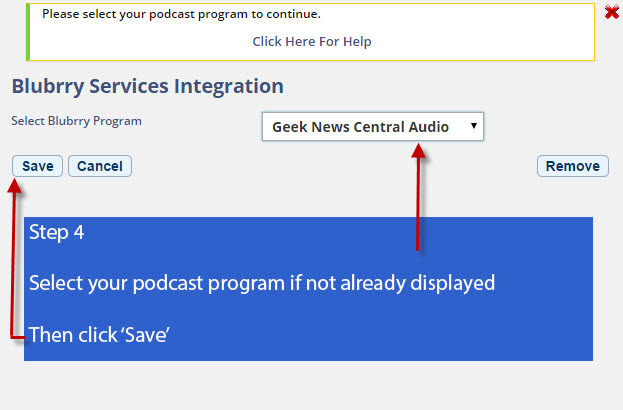 This is not actually an error, but a second step when you link your account that only appears if you have two or more podcast programs listed on blubrry.com. Please verify you are entering the correct email address and Blubrry.com password. This is where you put your redirect URL for other statistics services that use a media redirect. This URL will be added to the beginning of any media URL you put in the podcast episode box automatically to track your download statistics. Be sure to hit “Save Changes” at the bottom of this page if you have made changes.